Do you have difficulty seeing items up close or items that are in the distance? Patients who are struggling with nearsightedness and farsightedness have a number of options to correct their vision, ranging from eyeglasses to contact lenses to surgery. We are proud to offer comprehensive nearsightedness and farsightedness treatments in Chico. Help for your condition is just a phone call away, with an appointment that our staff will set at a time that is as convenient as possible for your schedule. As a preeminent nearsightedness and farsightedness eye clinic in Chico, we know about the causes of these two ocular disorders. Nearsightedness (also called myopia) describes the condition of patients who can see near items but have trouble seeing things at a distance. It occurs when the eyeball is too long, resulting in rays of light focusing on an area in front of the retina instead of on its surface. Scientists believe myopia is typically the result of eye fatigue from excessive reading and computer usage. Farsightedness (aka hyperopia) is a condition in which people can see distant objects but have trouble seeing close up items. Farsightedness happens when light rays focus on an area behind the retina rather than the surface. Researchers tend to think that most people are born with farsightedness. Who Is Typically Affected by Nearsightedness and Farsightedness? Your eye doctors in Chico want you to know that myopia can occur when patients spend too much time focusing on close up items. Hyperopia seems to be a congenital condition. Signs or symptoms that you are nearsighted include only seeing things close up, such as a book in your lap. Signs of farsightedness include being able to see distant items without corrective lenses while needing no assistance to see close up things. When you arrive at our nearsightedness and farsightedness eye clinic in Chico, the visit will begin with a consultation with the optometrist. You’ll discuss your lifestyle and what you do at work, school or at home and how nearsightedness or farsightedness affects your daily activities. 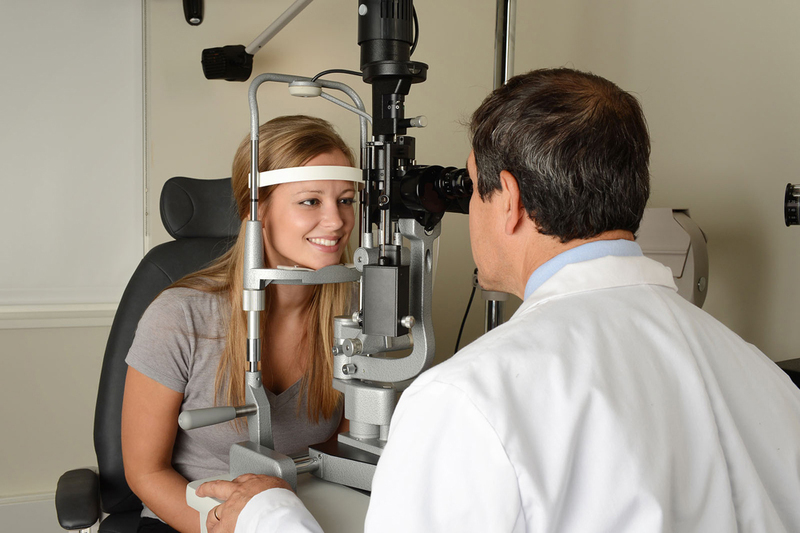 Our optometrists in Chico CA will test your vision to diagnose you. We treat these conditions by prescribing corrective eyeglasses or contact lenses. Feel free to speak with your eye doctors in Chico about whether surgery might be appropriate for your condition. With so many treatment options for patients with farsightedness or nearsightedness, you can expect to be in good hands when you enter our optical clinic in Chico for a consultation. If you would like to know more about how our team approaches treatment plans for nearsightedness or farsightedness or if you are now ready to book an appointment, please get in touch with Reeve-Woods Eye Center today.